It's hard to believe that kids around the world will be heading back to school in the near future but ready or not, it's coming! 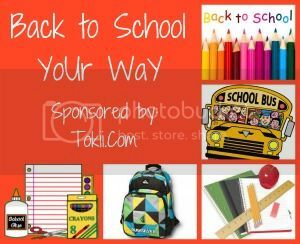 We want to help you get ready so we have come together with a great group of bloggers and Tokii.com;; to bring you the Back to School Your Way Sweepstakes! For the next two weeks, you will have a chance to win CASH money to help get the kids the essentials they need to head back to school in style. 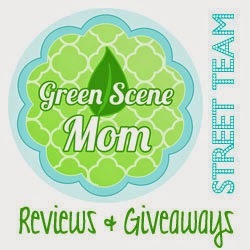 Thanks to the hosts Crazy House Reviews, Raising My 5 Sons, and The Jackson Five Family Blog for graciously hosting the event and for all of the other bloggers who have joined in to help! Tokii is the first self-help relationship site specifically designed to enrich and strengthen all types of relationships through interactive games, moods, quizzes and trading. Tokii tools positively impact relationships by inspiring, re-engaging and reminding couples why they fell in love in the first place. Tokii.com offers more than 250 games and more than 120 moods that you can send to your partner. You can also discover how you want to be loved by filling out the LoveZones quiz or discover how closely you and your partner's stars are aligned with the Horoscopes. Tokii even boasts a Facebook Mood App that allows users to set their moods from the comfort of their Facebook profile. You can connect with your partner anytime from anywhere via the Tokii app, now available on all iOS devices, Android smartphones or on www.tokii.com;;;. We think relationships are fantastic and Tokii helps everyone make the most of theirs! Just fill out the easy Rafflecopter form below to enter to win!